Maximum performance 90 KV/4 mA/360 Watt or lower KV e.g. 70KV/5.5 mA / 385 Watt. The MBG90 X-ray source has internal radiation shielding and is typical used for integration within Food Inspection, Packaging, Industrial NDT, Thickness gauging and Security Scanning, where low cost, compact size and continuous operation are important parameters. 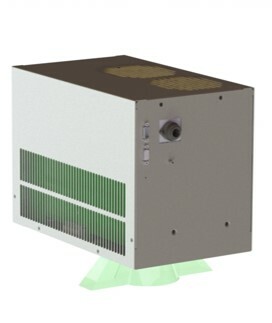 As no external cooling is needed it is very easy to install and use. Can be installed with fan shaped or cone beam geometry.